Last November, I republished one of my blog posts entitled “Help! 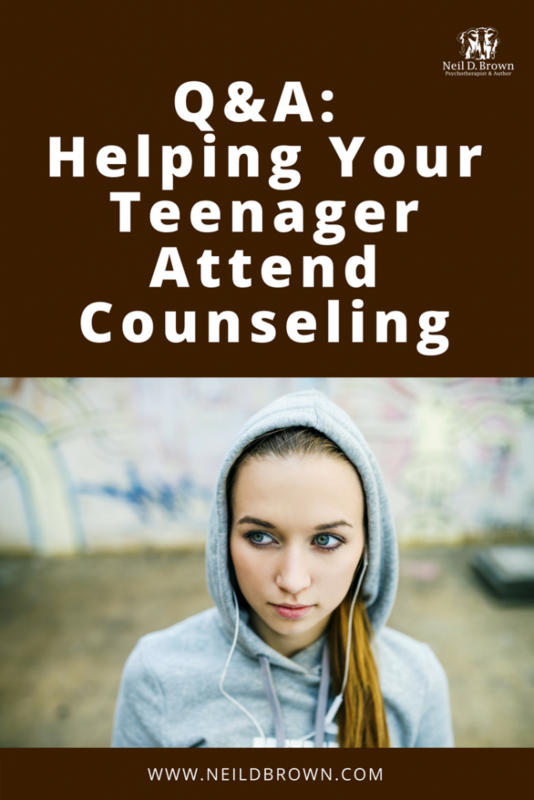 I Can’t Get My Troubled Teen to Go to Counseling!” Since then, I have received numerous questions from parents presenting a specific issue they are experiencing with their teenager. Many parents out there might be experiencing a similar situation in there home. So, I thought it would be a great idea to share these questions and answers so others can benefit from them. “My one major concern is that my 13 year old daughter is so, so stubborn. No one understood just how much so until a nurse at the hospital experienced it with her refusal to take her medication and then commented to us about it. Your 13 year old daughter is just starting her adolescent journey, so there is plenty of time for her to learn and grow. Her stubbornness belongs to her, and she needs to and will address it as she moves forward; at her own pace however. Her stubbornness is related to her basic temperament, but also to a Control Battle with her parents. So if you both take action to “Starve the Beast”, not participate in the Control Battle that is, her stubbornness will diminish. This will include identifying the behaviors that you each do that feeds the beast. As you stay out of the Control Battle, stay focused on your daughter’s strengths and let her know you have faith in her, set appropriate standards and let her earn her privileges, things will turn around. Each situation is different, but if you use these basic tenets, you’ll be going in the right direction. While it would have been great if you approached the situation with my guidance, not all is lost. What you did, you did out of concern for your son’s welfare, you didn’t take him to a butcher, you took him to someone who can help him. So he has a parent who cares deeply and is doing her best. Apparently, he is not mature enough to realize that. Most importantly, you need to realize that you two are in a Control Battle. You try to help, he rejects your help and he obviously needs your help. The more you try, the more he resists. When a parent is feeling helpless over a serious problem, the first thing to think is Control Battle. Going forward, I would make it clear to him that his cutting behavior indicates he has serious emotional issues that he is dealing with and he needs to learn how to deal with them in positive ways. Going to a therapist is an important step in learning to understand and address his feelings in self-valuing, not self-destructive ways. Make sure you’ve got the “right” therapist; someone who deals with resistant teens and their parents. If not, find out who in your area has a reputation for this population. Yes, you acted in a way that wasn’t “up front.”But his behavior was extreme and required intervention. Trust is a two way street and he violated your trust with his self-destructive behavior. Definitely follow through with the therapy and it will help to pick up a copy of Ending the Parent Teen Control Battle. Read the chapter titled, What if My Teenager is Depressed. My daughter is suffering from anxiety, depression and an eating disorder. She became suicidal after starting a low dose of Prozac last November, and has continued to be so. She has also begun to gouge her arm with her nails on a regular basis when she’s upset. Until last November, she was a model, straight A, high achieving 9th grader, and then we hit severe crisis mode very quickly last November/December after she stopped eating and drinking for two months. We’ve struggled ever since. Once I realized she had anorexia and had been periodically restricting her food and fluids for some time, I took steps to get her help in an excellent inpatient facility. She has complied with meal completion and her weight and health have normalized, but she continues to adamantly resist all therapies offered at the facility (group, individual, family), and continues to talk about wanting to die, feeling hopeless, not trusting any care provider, and feeling like a “worthless piece of sh*t.” She is also on SSRI meds. Her care team wants to step her down to PHP in the next few weeks. My concern is that her treatment facility is in another state and for me to accommodate an 8-week PHP program there means taking my second child out of high school, and taking an 8-week unpaid leave of absence from my job. These are both risky sacrifices to make, especially for a teen who is 100% resistant to participating in any aspect of therapy or learning any new coping skills. It seems she’ll go through the motions to get out of PHP, then likely remain suicidal, or begin restricting her food again, and we’ll be back to square one. However, by then, I’ll also be in a precarious place with my job and my second child will have sacrificed a significant amount of her own normal high school life. There are some more limited PHP programs in my own city, but with new care providers and different formats and approaches. The current ED facility strongly recommends we find a way to stay with them to continue to work with her for the sake of continuity. The bargaining chips I have with my teen are her continued enrollment in an alternative high school she loves and her phone. However, I can see her make a suicide attempt if I tell her these will not be available without her participation in therapy. Quite honestly, it’s not possible to watch a teen 24/7 – there are many, many ways for them to do something very dangerous in an impulsive moment, and this is a terrifying prospect. I feel completely stuck. Thank you for sharing your quite challenging situation with us. Obviously your daughter is struggling with serious mental health and behavioral issues and you are struggling to know the right way to help her. Since I have not evaluated your daughter or your situation in depth, I can only share general principles as they might apply to your situation. As long as your daughter is non-compliant with treatment or in any other way is unwilling to cooperate, privileges should be off the table. The treatment program she is in appears to be focusing solely on her individual treatment and not family treatment. In order for your daughter to be out of inpatient and in outpatient, even intensive outpatient therapy, there needs to be a realignment of the parent-teen relationship. You are absolutely correct, you cannot watch your daughter 24/7 and if that’s what she needs, then she isn’t ready for outpatient or even intensive outpatient. I’m hearing that you are concerned that if you don’t give her the privileges she wants, in this case use of a phone and going to the school she wants, she will become suicidal and self-destructive. That is a profound Control Battle and your daughter should not come home if she is going to act out to get what she wants. She has to earn what she wants and the way to earn her privileges is to manage her responsibilities and cooperate with her parents and other authority figures. Family therapy can support you in getting there. So Lin Ann, one suggestion I would make is to contact a residential treatment placement professional and think about a longer-term residential treatment program. One that would include education, perhaps a therapeutic boarding school. I refer to my colleague Dr. Mark Burdick, info@drburdick.com. A placement professional knows of hundreds of placements and will be able to find the right one for your daughter. The bottom line for your daughter coming home or under your care, is that she is able to keep herself safe. That will require her being accountable to your parental authority, loving parental authority, but authority all the same. I hope this is helpful and thanks for sharing your situation with us. My 15 year old son has a diaper fetish. I was aware of this three years ago and talked to him about it. I put parental controls on Wi-Fi and hoped the problem would go away…if only. His 17 year old sister found soiled diapers in his wardrobe. He is generally anti-social and spends an inordinate amount of time in his room. He resists all attempts to get him to engage in sport etc. He comfort eats sweets, biscuits, ice cream etc and plays computer games. I addressed the diaper issue with him and he said he was glad I was aware of the issue. He appears to have researched the problem and feels its incurable and something he’s “come to terms with.” He refuses to go to therapy and says he’s “fine.” I am so sad and worried for him. He doesn’t want to talk to me about it anymore. Thanks for checking in. Clearly your 15 year old son needs professional help. In addition to his diaper fetish and storing soiled diapers, his social isolation and lack of healthy habits and activities all point to profound emotional/behavioral issues. He is not developing through his teen years. I hear that you have talked with him about these issues but can’t get through. With many kids, and particularly with kids with serious issues, talking will not be enough, it will take action. I recommend you make an appointment with an experienced and qualified mental health professional in your community for you, his father if he’s in the home, and your son. If your son refuses to go, you go without him. One problem here that needs to be addressed is your sense of helplessness as a parent. You need to be empowered and have the confidence that you can take reasonable actions when problems arise and be effective. Right now, your son’s inaction has all the power and you are letting it disempower you. Getting your son into intensive treatment should be your number one objective. Turn off the Wi-Fi and, if necessary, take his computer and all devices away until he is cooperating with you. Of course, do it with an attitude of needing change not punishment. I’m sure he will strongly resist, since he has been getting his way for a long time and is afraid of addressing his issues. But with an empowered parent, your son will have the opportunity to see hope in his situation. My best wishes you you and to your son. Should You Force Your Teen To Go To Therapy? I am not sure what to do with my 17 yr old son, he has GAD and is falling into a state of depression. We have been seeing different Psych Doctors for a few yrs now, Psychologist, Psychiatrist, he will not speak in school, has no friends. My question is, do I force him to go to the Adolescent therapy or allow him to see his recent therapist for individual therapy and then maybe go back to adolescent group therapy when he is ready? He is in an emotional fragile state right now and I certainly don’t want to make it worse…he is definitely receptive to going to individual weekly therapy with his recent therapist. I am not sure if I am making his anxieties worse by forcing the issue. Each time we have to take him for the group therapy he tells us that he only wants to stay for the 1st hour…..my husband and I keep telling him to try to jump in with both feet. Thanks for your question Anna. I’ve answered your question in a podcast titled “Should I Push My Anxious and Fragile Son To Try Harder?” For a full answer to the question, you can listen to the podcast from my website or Healthy Family Connections on iTunes. But very briefly, while your son clearly has a serious anxiety disorder, it’s not going to get better unless he takes responsibility for dealing with it. Avoiding the adolescent therapy group is not trying to deal with his problems. So yes, he must go to group and deal with his discomfort in order to gain the skills to get comfortable in healthy ways. My best wishes to your family. My 17 year old is not listening to me or my wife for most of the time. She is smart in study with above 4.50 GPA, but she is very quiet when she gets out of the house. When home, she tries to control us by asking for food she wants, etc. Every time I have to remind her for some important college application/essay writing deadline, or ask admission counselor any questions or concerns she may have, or push her for the college visit / open house, etc. We tried to take her to LCSW but she was resistant to go and if she went, then she went without any interest and after 2-3 sittings, she don’t go. She has no desire to go out and make friends, no desire to make her body beautiful, she don’t talk with any guest that comes to our place. It is very hard for me, my wife, and my elder daughter. When she is in a good mood, she talks like a very smart and helpful person. At the last minute, when it’s time to go for an appointment (For example, driving lesson appointment, or registered college open house appointment, or doctor’s appointment) she backs out and give no reason. We don’t know what to do to help her do day to day responsibilities on her own. She doesn’t even wake up her own to go to school in the morning. She doesn’t eat fruits or meat or vegetables (with a few exceptions). She doesn’t brush properly, and she doesn’t comb her hair properly. Can a therapist come to our home for the session/s because my daughter is very stubborn? We are very concerned about her future growth. Your concerns are very important ones. Great that your daughter is smart and gets A’s but if she doesn’t apply to college, she can’t go to college. Something has happened in your relationship where she isn’t listening to her parents and doesn’t feel accountable to her parents and she is able to avoid your standards and expectations. Certainly most high school girls do care about their appearance and they care about friends and your daughter not caring indicates a mental health problem or a developmental problem. I have a few suggestions. One way or another, you are going to have to have a stronger more authoritative voice with her. Positive and affirming, yet strong and clear with your expectations; including how she talks with her parents. You can talk with the school counseling staff and learn what they see in the school environment with her. Is she somewhat social? Have they seen other students like her and do they have any recommendations for you? They can even be more involved in her college application process or recommend an outside person to support that. I recommend that you go with her to a therapist that works with families and teenagers. They may recommend psychological testing for your daughter in order to understand what her issues are and how best to support her growth and development into her young adult years. It seems like she may require support into her young adult years and it will be important for her parents to know how to support her in a way that encourages progress and not in a way the allows her to stay stuck in her development. No, a counselor isn’t going to come to the house, and if they do, they would be no more convincing than you that she needs to address her issues. But if you are clear that going to an appointment is not optional and that you are going to take action, I’m confident she will go. I hope you have found this information useful! If you have a specific issue with your teenager that you still have a question on, leave a comment down below and let me know. You never know if another parent may have a similar question. My response could be very useful to not only you but to another parent as well. Would you like another useful resource for your teenager? 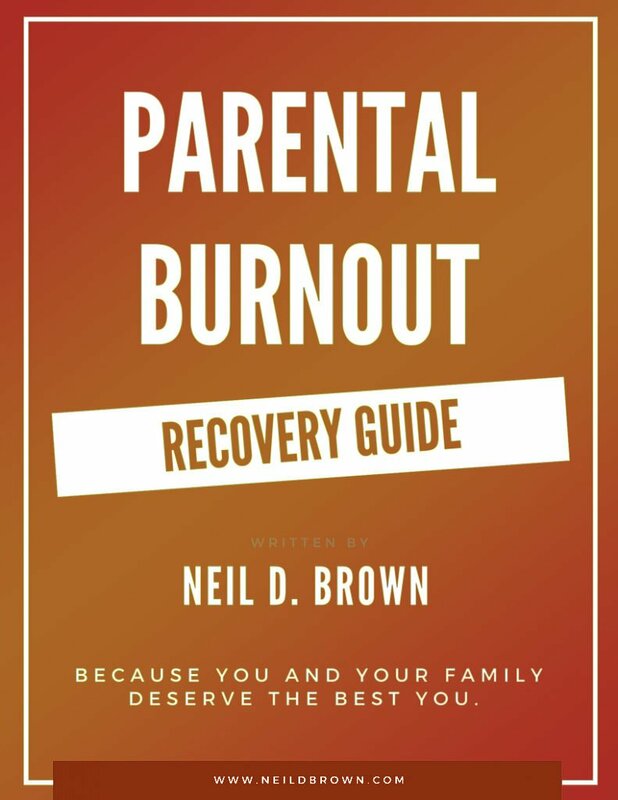 If you’ve read my book, Ending the Parent-Teen Control Battle, I have a free gift for you! One parent told me that after his daughter read that chapter, things in their family completely turned around!